Rust repair is a question of trust. Autobutler leads you to the best possible rust work at the best possible price. 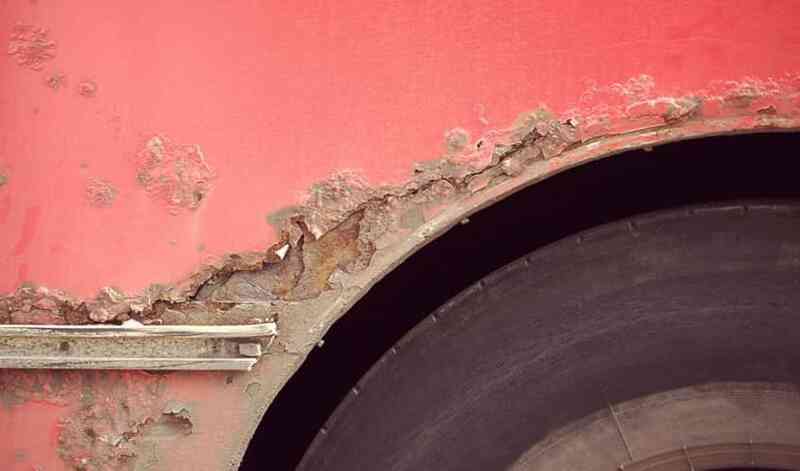 When cars reach a certain age, they corrode, causing rust stains here and there. Regardless of whether it is a rusty undercarriage, rust film on the paint or corrosion of the body, this is a job for professionals. Inspecting for and working on rust is a question of trust, as is the rust prevention treatment that follows. Trust is necessary because it is difficult for ordinary motorists to tell whether the rust work has been done well, and according to the manufacturer's specifications. Do you need underseal for you car? Look here. In addition to boosting your car's longevity and looks, rust protection reduces the noise inside the passenger compartment. The reason is that the rust protection insulates against the sounds that otherwise reach the car's passengers, such as the tyres, pebbles etc. If you send your rust work or rust protection out to tender on Autobutler, you know that the price will be good, and that the work will be performed by a high-quality garage. The garages affiliated with autobutler.co.uk must be part of a rust treatment chain or follow a chain's instructions. That all benefits you, the customer. What is the Best Way to Protect Your Car from the Heaviest April Showers?